Hon. Danson Mungatana finally came to terms that the man he campaigned for with his body and soul-President Kibaki is nothing better than his predecessor, now Mungatana regrets supporting Kibaki! I can remember very well Mungatana supporting Kibaki, he has seen the light. Welcome brother to ODM. Why am I not laughing. he was a young man, he was delusional, now he is healed, In Kenya there;s only one truth. 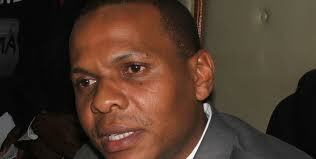 now Mungatana has seen the light, act in time en be in the wining team come next election. as a matter of fact recently some Kenyans were involved in an accident in TZ the president had to give an order for the said victims to be air lifted back using the Kenya Air Force planes, why can't he equally do something to the pple of Tana River? Mungatana is right! Emmanuel Bitta its now clear that the Tana River issue is political and non of the two principals is willig to address the same! for me I never condone such last minute turn around.after exausting and enjoying everything in Kibaki now that Kibaki is nolonger an assest they want to deceive kenyans that they regret.must it take 10years or so to regret.he should have noticed this long time and regretted 3years ago atleast but not now. Pole to Tana River people. For you Mungatana, you made the bed, now lie on it. MUNGATANA, MUNGATANA, YOU DON’T PUT ON THE FIRE AND EXPECT SOMEONE ELSE TO COME N PUT IT OFF. WE HAVE MORE URGENT PROBLEMS TO BE SOLVED THAN THAT SELF CREATED ONE.